You can set up an automatic master file sync from GitHub to Get Localization when commit is done. Please also check out the short video about setting the sync up. 2. Select the file you would like to import to master files. Typically it's the English resource file. 3. As soon as the file has been imported successfully, go to your GitHub project and open the 'Admin' page. 5. 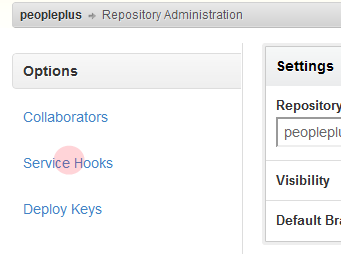 Select 'GetLocalization' from the list of service hooks. 6. 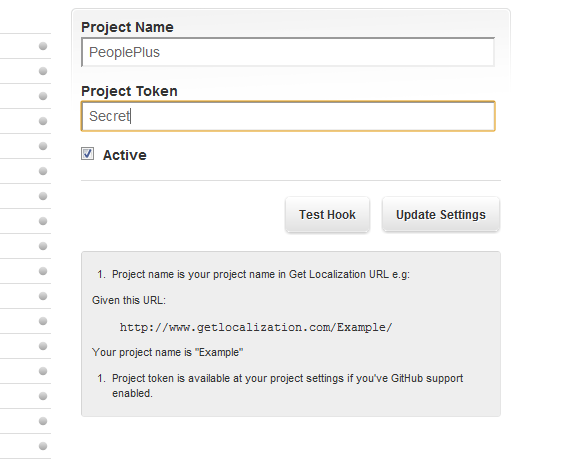 Enter your project name, which is the same one that is contained in your Get Localization URL (http://www.getlocalization.com/<project-name>). Also copy your project token from your Get Localization project Settings page and paste it to the corresponding project token field in GitHub. And that's it. Now when you do the commit, all the files you have imported as master files will be automatically updated from GitHub.